1.2" x 0.6" x 0.6"
I’m a safety nut when it comes to bicycles, especially electric bikes because I tend to ride further, faster and at rush hour times commuting. Having purchased CYGOLITE products in the past, I decided to check out their Dart models which are smaller, lighter and less expensive than some of the brighter ones. 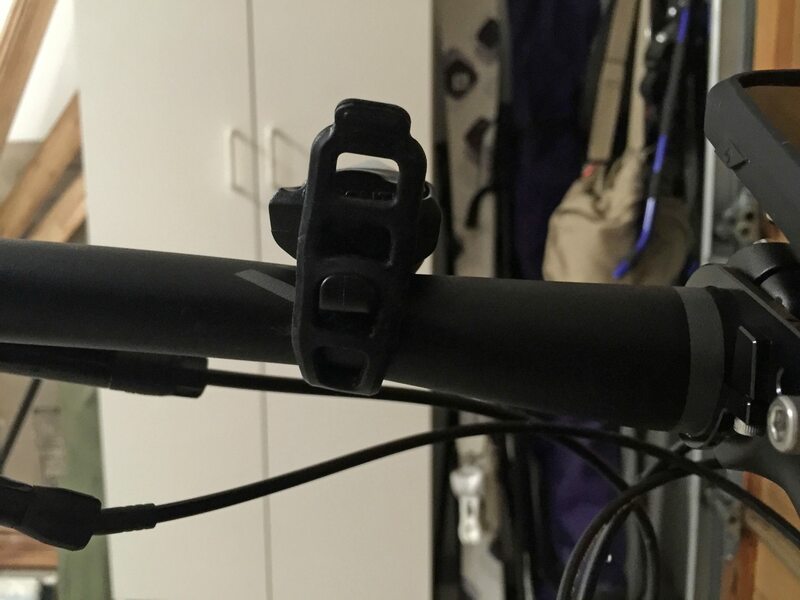 It appeals to me because it’s convenient, easy to connect and disconnect from a range of different bar styles (traditional or drop bars) and widths. The Dart 210 model emits 210 Lumens and is rechargeable so the casing can be tougher, more compact and use can be less wasteful. The unit comes with a USB 2.0 to Micro USB cable that’s small and easy to stuff in a packet as well as being common… it’s the same charging interface that Samsung smart phones use (at least in 2016/2017 when this was written). 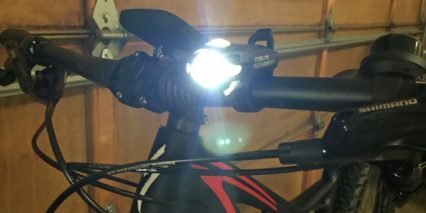 Why get the Dart when there are now blade and rod style bike lights that seem brighter? Well, I’m a big fan of the CYGOLITE Hotrod and other similar designs but have found that they don’t illuminate your path as well as the light cannon styles. They’re great for city riding when street lights illuminate the path but I often ride on bike paths and neighborhoods where it’s just as important to see as be-seen. In the video review above, I tested a bunch of different lights but chose two CYGOLITE products as headlights because I’ve found them to balance brightness with convenience well. 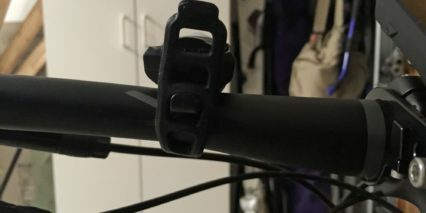 I don’t love the more permanent plastic clasps that have bike lights click on as much as I like the rubber band style. The downside is that you can’t adjust from side to side as easily as up and down. In practice, at least with the bike I was testing with (a Specialized Stump Jumper) the Dart worked well enough in terms of aiming. Ultimately, I was surprised and impressed with how well it performed compared to the larger CYGOLITE Metro model. It had a wider beam with smoother fade from center but they both got the job done and the Dart stayed cooler. 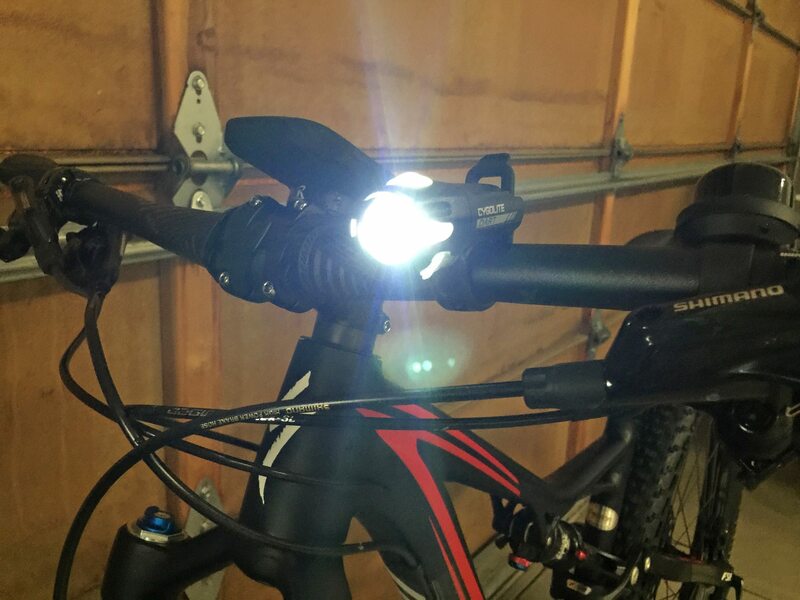 This is the kind of bike light that I think I’d use more often because it’s convenient, I’d share it with friends and family because loosing it wouldn’t break the bank and I still feel like I’d be safe and visible while having a beam strong enough to light my path. I could see myself using it in conjunction with lighted helmets like the Specialized CENTRO LED shown in the video or a Torch helmet with front and rear lights. I’ve been hit by a car once on my bike before where they took a sharp right without signaling or checking their blind spot and sort of wrapped me around a corner. I walked away mostly okay but believe that even in the daylight (when this accident happened) having a flashing light can make a difference. The DayLightening mode on the Dart does this, creating a distracting sort of strobe effect that could have alerted the car to my presence that day. Ultimately, it has to be convenient so I’m glad companies are creating products like the Dart that compromise but still work well.